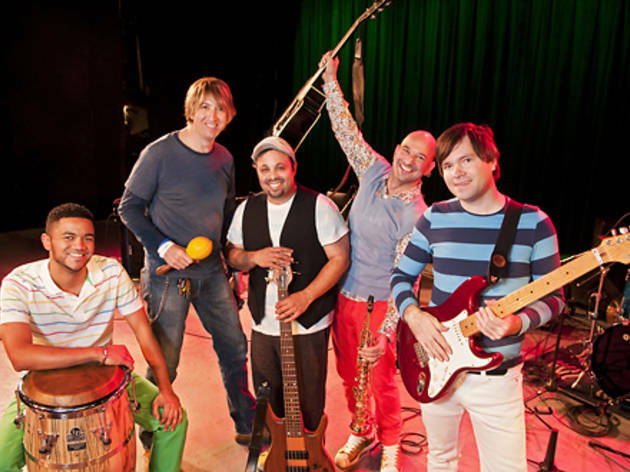 Sing and dance along to Hot Peas 'N Butter's unique mix of Latin, Afro-Caribbean, jazz, folk, and rock as the band celebrates its new bilingual single and music video, "Colores," with five-year-old Bomba drummer and dancer Sol Nitaino Cabassa among other guest artists. The NYC-based band has made a national splash with videos on Nickelodeon and a number one spot on kids' radio charts. Ages 5 and up.